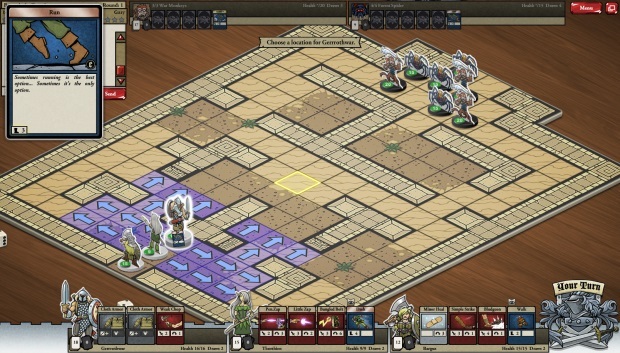 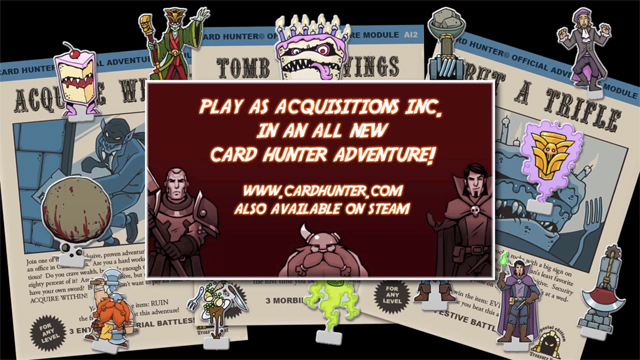 Card Hunter is an online collectible card game blended with a virtual tabletop adventure. 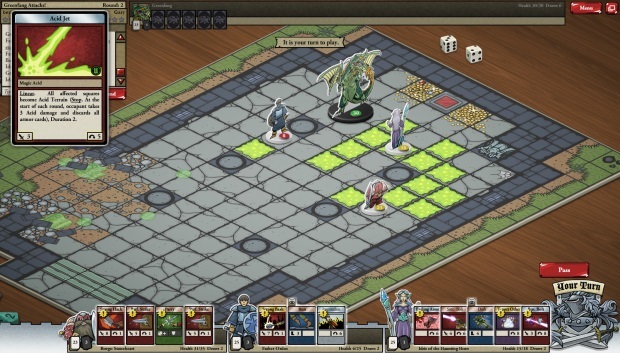 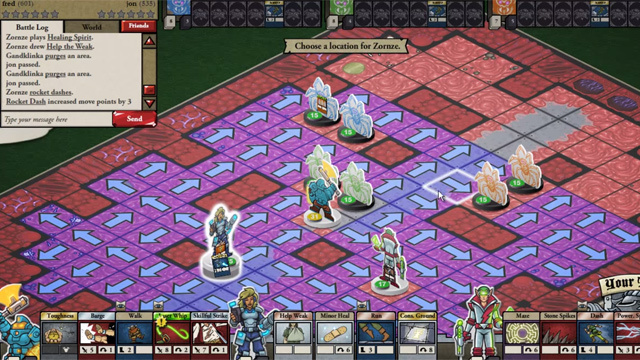 Gameplay is focused on skill and deck-building, rather than grinding or tiresome clicking. 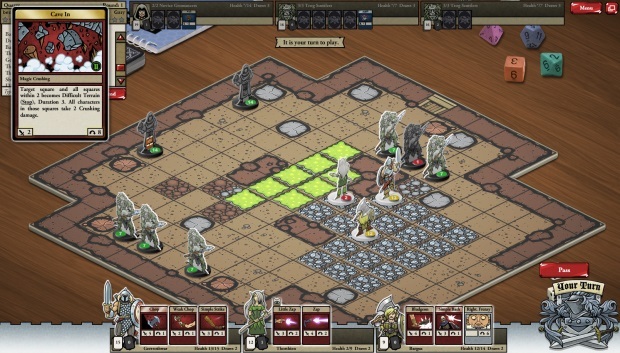 Players equip their characters with cards and adventure through dungeons, finding loot and battling monsters. 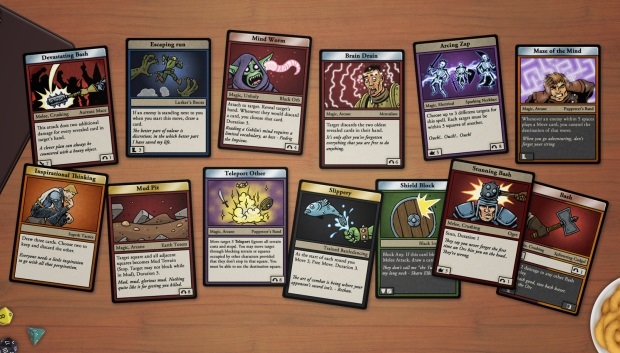 Unique Blend of Genres: Card Hunter is the first game to mash up collectible card gaming with tabletop adventures. 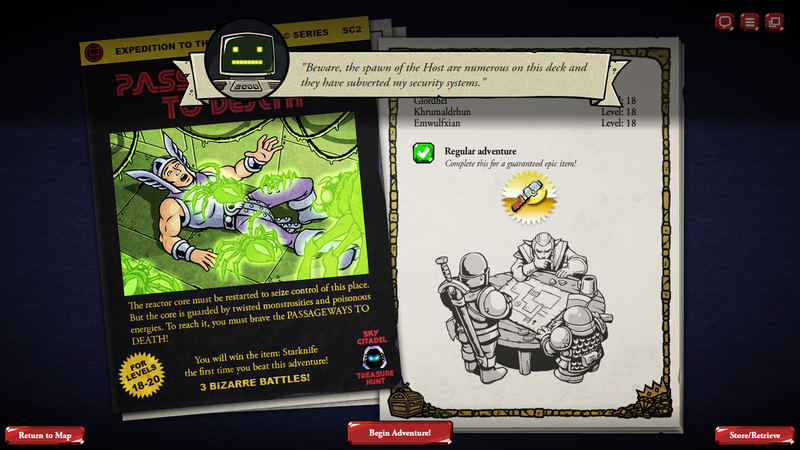 Earn Your Cards Free: Adventure and look for epic cards for free, rather than shelling out every week for card packs. 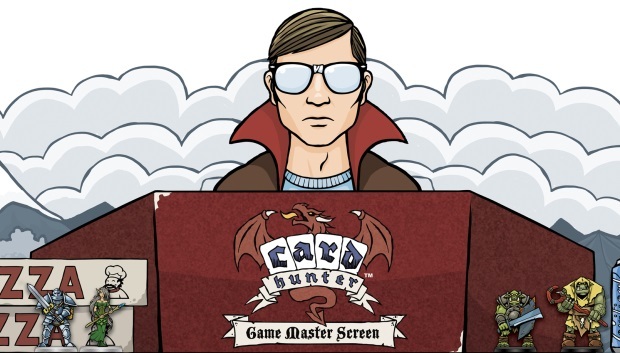 More than One Way: While boasting a single player experience, Card Hunter also offers competitive player versus player and will also offer cooperative play in the future. 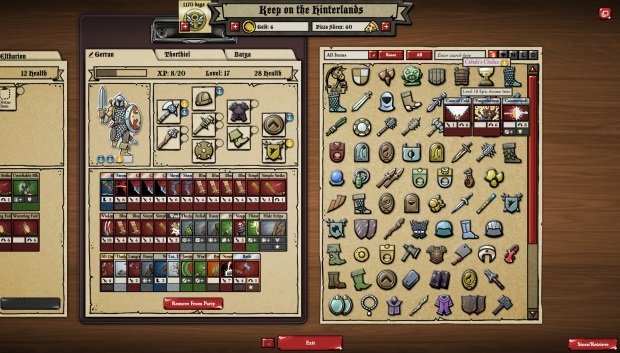 Card Hunter's developers offer an expansive preview of their upcoming Attack of the Artifacts update.